I have recently been reflecting on the wonderful value of Affirmation. 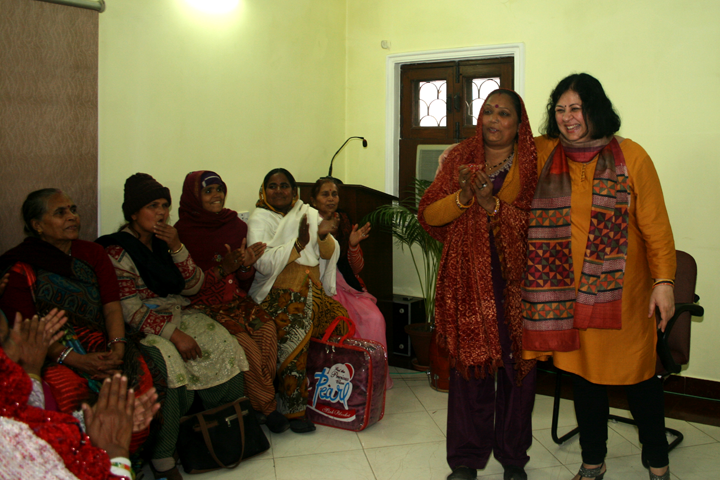 It is quite closely linked to one of Asha’s most important values, that of Gratitude. According to the Oxford Dictionary, ‘to affirm’ means: to state or assert positively, to maintain as true. It also stands for giving a person a heightened sense of value through the experience of something emotionally or spiritually uplifting. When we affirm people, we affirm the work God is doing in their lives. We point out His reflection in the people He has knit together in His image. It is a standard practice at all Asha meetings to affirm and appreciate one another in a safe and loving environment. Everyone present is affirmed, demonstrating the love, appreciation, and respect all team members have for each other. However, our declaration of something in a person that is true requires a genuine knowing of the other. This happens when we take time to build relationships with one another, pay attention to each other’s strengths, recognize and appreciate the gifts of others, and genuinely express that recognition to one another. We can then speak the truth with conviction and knowledge, to what we know about the other. Our affirmation can be authentic, and completely devoid of flattery and manipulation. Everyday, I see the amazing effects of affirmations on my team as well as on hundreds of slum college students, children, and others in the communities. I have seen these affirmations bring to life their capabilities, strengths, talents, and skills. Their effects penetrate so deeply that the person’s entire attitude, behaviour, and actions are affected. They change the way people experience events, and they completely alter the emotional climate of relationships. The word ‘encourage’ means ‘ to inspire courage’. Words of encouragement and affirmation lead to courage, and a sense of security. This brings about a vibrant expression of latent potential within us, and causes us to flourish in all the dimensions of our lives. There is no room for judgmental or guilt inducing, condemning, critical words that lead to a feeling of rejection. There is no room for loudness or harshness. The tone and manner in which we speak is exceedingly important. People are deeply influenced by those who affirm them, and listen to them. Being affirmed does wonders for the other person’s sense of hearing. In addition, behaviours that are rewarded and celebrated, are more likely to be repeated. Affirmation in the presence of others is also key. This means that we are giving public honour and respect for a person’s gifts, abilities, and qualities. It is important that we affirm people on a consistent basis. Studies have found that consistent affirmation results in the muscles becoming stronger, and more active. On the other hand, the muscles tend to become weak and we feel a sense of fatigue in a negative environment. Let us embrace affirmation as a value to be practiced everyday, and let us remember that our affirmations can have a profound impact on the lives of others. The way they experience life’s events, and relationships around them, can change forever. I felt very blessed to have had the opportunity to meet you during your visit to Salt Lake City. I do wish I could have had the luxury of spending more time with you to learn a few things about starting programs like yours in other cities like Mumbai and Pune. I wish you all the best in your pursuit of making changes where you can and bringing joy into the lives of many down trodden communities.